An accidental discharge occurred on Wednesday at the Aso Rock Presidential Villa in Abuja. Sources say a female staff member of the State House was injured in the process. The woman was said to have been rushed to the State House Medical Centre where she is currently being treated. The woman, witnesses said, sustained injuries on her stomach and lap. 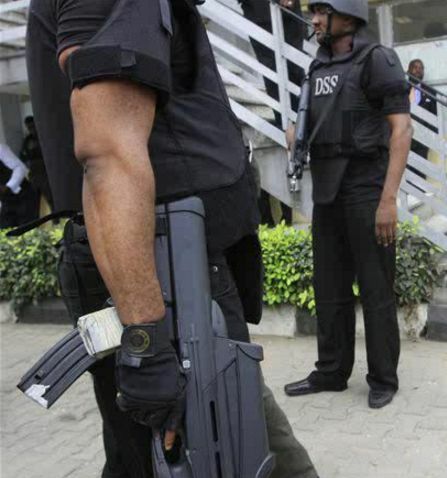 It was said that the incident occurred when an operative of the Department of State Security (DSS) was trying to drop his gun as requested by the security officers attached to the reception.